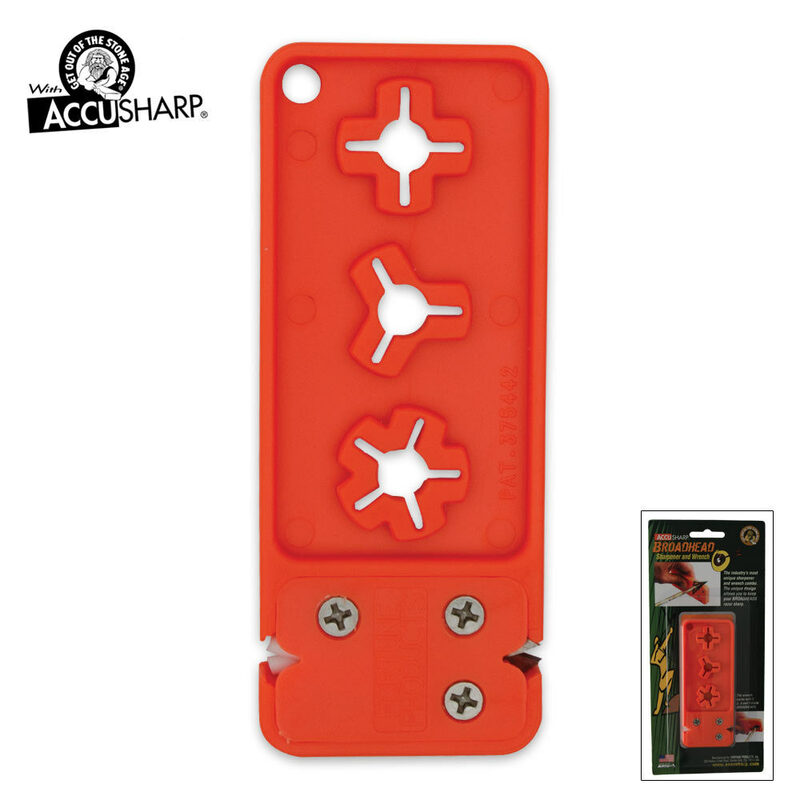 Accusharp Broadhead Arrow Sharpener | BUDK.com - Knives & Swords At The Lowest Prices! Now from the maker of the world's best knife sharpener comes another innovative tool. This Broadhead Arrow Sharpener features durable plastic construction, a Tungsten carbide sharpener, and fine ceramic finishing rods at preset angles. The integral broadhead wrenches work with 2, 3, and 5 blade broadheads. Features lanyard hole. Measures 4-3/8” x 1-3/4” x 1/2”.